Different vendor platforms offer a number of ways of delivery of machine learning and AI based services like in the way of SaaS. How artificial intelligence, machine learning is disrupting the traditional SaaS market is completely different topic – in this article we are comparing SaaS like easy delivery of various tools as products of artificial intelligence, machine learning. Difference between the services may be more or less but essentially designed to meet the modern AI needs. Artificial Intelligence as-a-service (AIaaS) avoids the investment required to purchase hardware and software to start an on-premise cloud for AI. These services, sometimes markated as Cloud Artificial Intelligence service and the vendors may also offer some related AI tasks such as GPU based processing for intensive workloads, uploading data as text, CSV to their cloud storage services. What is Artificial Intelligence as-a-service (AIaaS)? In essence, artificial Intelligence as-a-service (AIaaS) allows to experiment with AI for different purposes without avoiding CAPEX and associated risks. There are many larger companies offering Artificial Intelligence as a service (AIaaS) to provide options to develop AI-enabled business specific applications. 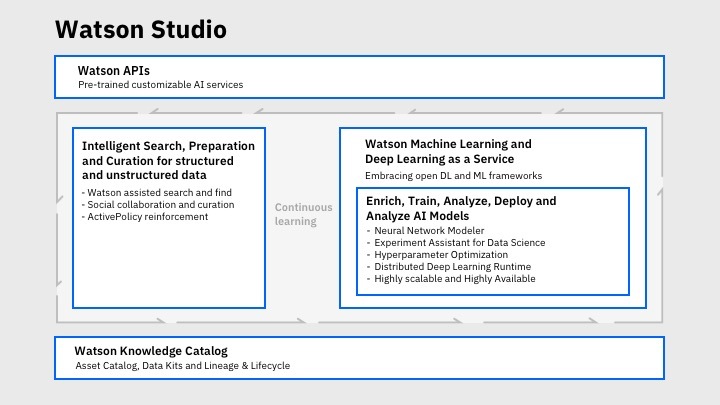 Amazon ML, Microsoft Azure ML, IBM Watson, Apple, Intel and Google Cloud ML are some of the leading companies offering Artificial Intelligence as a service (AIaaS) with wide number tools and algorithms. Apart from the leading companies, there are other companies which offer Artificial Intelligence as a service to develop any AI-based business model with promising outcomes. Artificial Intelligence as-a-service (AIaaS) has (minimum) two levels, namely (i) AI algorithms and (ii) AI-based services. Services inside AI algorithms level usually provides an working scalable implementation of the algorithms related to machine learning and artificial intelligence. They may help an algorithm specialist to get the benefit of existing implementation. On the other hand, AI-based services rely on machine learning, artificial intelligence to provide a set of easy-to-use services such as Natural Language Processing like IBM Watson as set, face recognition, text recognition as kind of specific service. To use these the user does not need to have any skills related to machine learning, artificial intelligence but can get the benefits of having a team of specialist working to provide the solution for their development. This Article Has Been Shared 2540 Times! Cite this article as: Abhishek Ghosh, "The New Dimension of SaaS : Artificial Intelligence as-a-service (AIaaS)," in The Customize Windows, November 16, 2018, April 26, 2019, https://thecustomizewindows.com/2018/11/the-new-dimension-of-saas-artificial-intelligence-as-a-service-aiaas/.